This two day workshop will give us an opportunity to explore these ideas in some depth, and practice asking questions with these ideas in mind. Each of my four area will be structured around clinical material; transcript from work over several sessions will serve as a way to illustrate the ideas and practices in each section. The first, a Focus on Affect, will set a direction for emotion to be the unifying construct throughout the work. Also included here is a modernization of The Statement of Position Map, updated with more current understandings of the day, and highlighted by Jeff’s idea of MOMENTS. The second area, Mind-fulness and Body, will demonstrate how to work with clients using breathing, imagery, and attention to the body and bodily based emotion. The third area, Right Brain to Right Brain communication, structured around work with a couple, will address the usefulness of attending to non-verbal process and emotional communications, the growing need for emphasis on right brain mediated experience in today’s technological world, and how relational experience contributes to the formation of new narratives. And in the final area, Non-conscious Influences (yes, affect has a past), we will discover how human connections shape neural connections, and how each contributes to the development of mind. Structured around work with a client with developmental trauma, we will consider how physiological arousal relates to how people manage problems and affect intensity, and how all that influences the ability to hold onto preferred selves. As usual, fun will not be sacrificed in the name of learning! 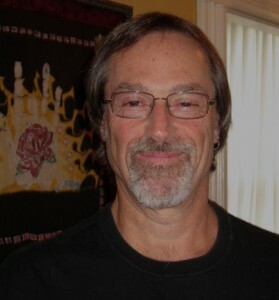 Jeff is a psychologist who was part of the original North American group trained by Michael White (mid to late 80’s). He has published extensively and given countless workshops in Narrative Therapy, recently combining these ideas with Interpersonal Neurobiology and Affective Neuroscience. Jeff lives in San Francisco, where he goes to lots of live music, restaurants, movies, and baseball games.